Wilner, was born in the city of Manhattan. His father is a professor of Hematology and his mother a clinical social worker. Spike hails from a direct line to a famous rabbinical dynasty founded by his great-great-great grandfather, Moses Sofer, who was also a Kabbala master & mystic. His grandmother, Marie Wilner, was a well respected painter in the Abstract Impressionist style. She was active on the New York art scene of the 1930's through the 1960's and created an enigmatic body of work. Spike was inspired to play ragtime piano at a young age after seeing a docudrama on the life of Scott Joplin. This led to a life-long passion for piano playing, ragtime and jazz music. Spike made his performance debut at the age of 14 by playing Joplin's Maple Leaf Rag at the St. Louis Ragtime Festival, then held on the Goldenrod Showboat moored on the Mississippi River. Spike continued his music studies through high-school and participated in its award winning jazz band. Spike entered into the first class of the, now legendary, New School For Social Research's Jazz and Contemporary Music Program, then led by the late Arnie Lawrence. In this original class, Spike met and befriended many of today's prominent members of the current jazz scene. This included: Brad Mehldau, Larry Goldings, Peter Bernstein, Jesse Davis, Chris Potter, Jorge Rossi, Sam Yahel, Joe Strasser, Roy Hargrove, John Popper (of the Blues Travlers), Eric Schenkman (of the Spin Doctors) David Grausman and others. Spike entered into a period of intense study and worked with many great teachers. Of the most important were: Barry Harris, Jaki Byard, Kenny Werner, Walter Davis Jr., Kenny Barron, Mark Thompson, Harry Whitaker, Fred Hersch, Johnny O'Neal and Terry Waldo. Spike performed with and has led many bands in New York City at many famous, now closed, jazz clubs including The Village Gate, The Angry Squire, Visiones, Augies, The West End Gate and The Village Corner. 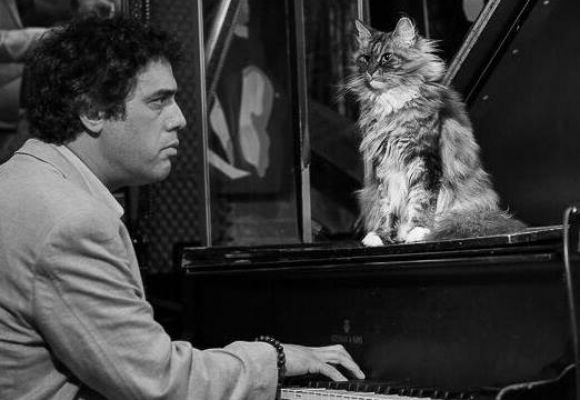 Spike also toured with The Artie Shaw Big Band, The Glen Miller Orchestra and Maynard Furgeson.
. Spike completed his Masters Degree in Piano Performance at the State University of New York in Purchase, New York in 2007. In 1994, Spike began to work a regular gig at Smalls Jazz Club. This became his permanent musical home and eventually led to his current position there as a partner and manager of the club. Spike now spends most of his time at Smalls and still plays there regularly with his group. Spike invites you to contact him for any reason or just come by the club and find him.